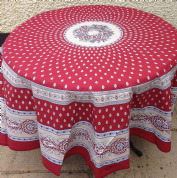 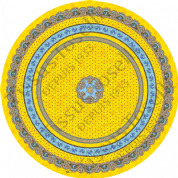 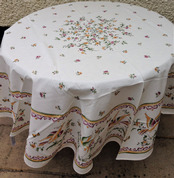 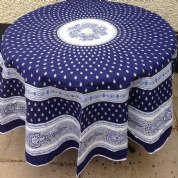 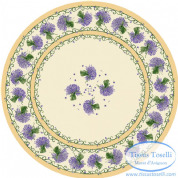 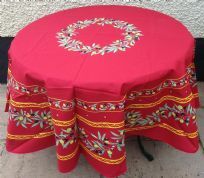 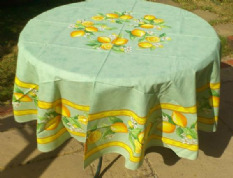 Our round French tablecloths are all 180cms in diameter with a centre placed design the photos show the cloths on a table top measuring 90cms diameter. 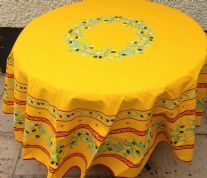 All cloths are available in 100% cotton or with a subtle matt acrylic coating for a wipe-clean finish. 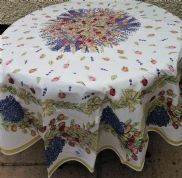 We keep just a small selection of coated tablecloths in stock so if you don't see the design you are looking for here, please email us at sales@frenchshopping.co.uk and we can order directly from our suppliers for you.